Many of us have a special relative in the military. Whether it’s a spouse, grandfather, son, or daughter, military service is something that should be rewarded. 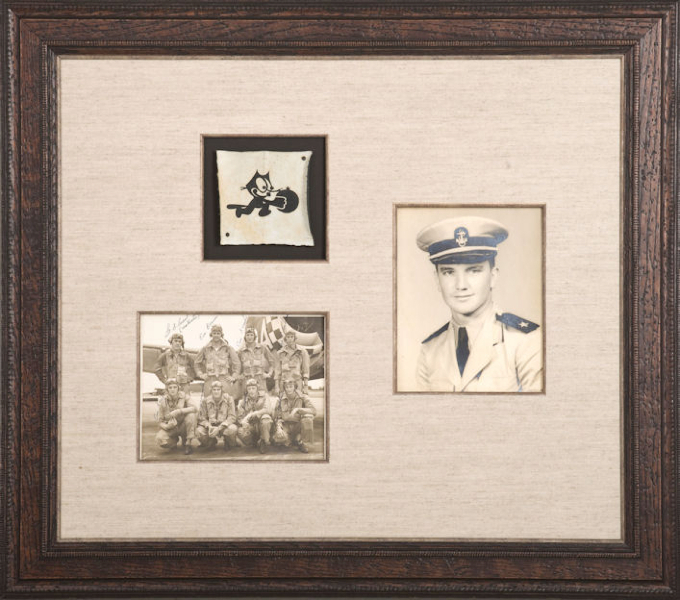 Our military gift frames are an ideal way to celebrate the life of a relative. Celebrate special ribbons and medals in an exquisite, top-quality display case. 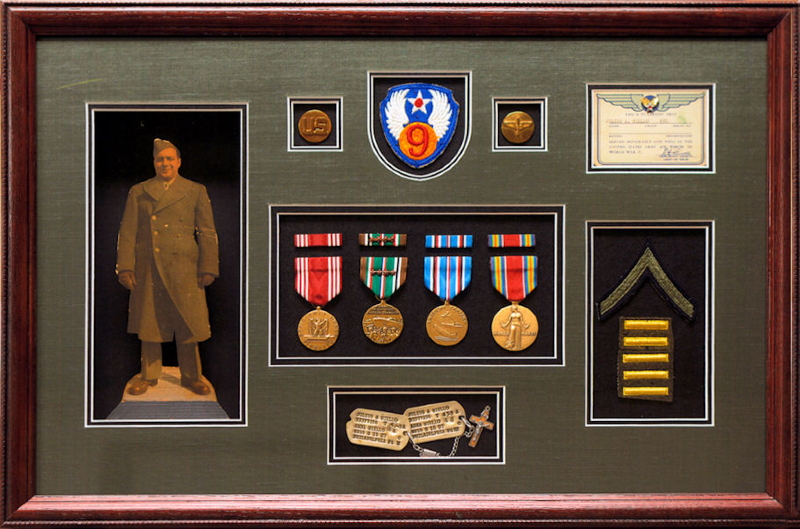 Or, celebrate somebody’s return from overseas with a frame filled with their most powerful accomplishments. 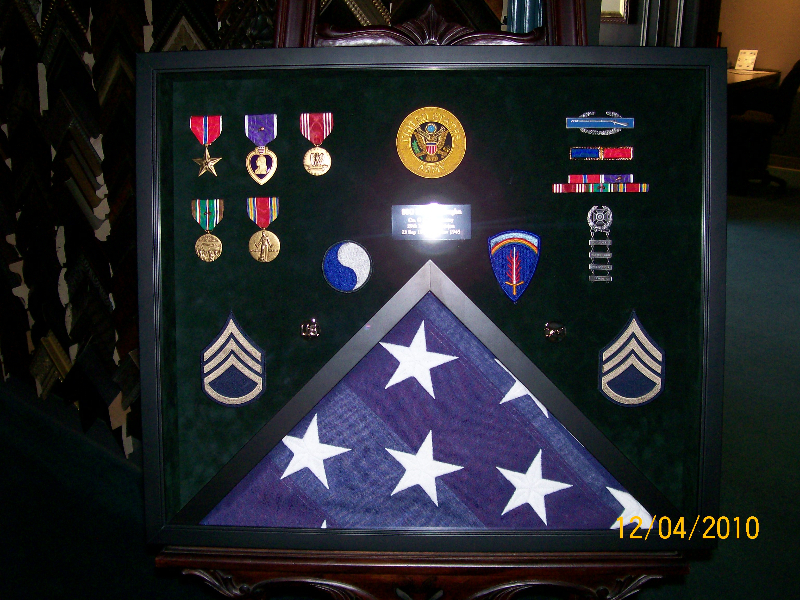 With our personalized, custom-designed frames, we ensure that sacrifices made for our country do not go unnoticed. Contact us today to find out how Framed in the Village can celebrate your service.